This beautiful carpet is woven in Kashan design pattern which is very traditional design and has been orignated from Persia. This beautiful carpet is ideal for living room and bedroom as well. - The beauty of this carpet prove Rugs and beyond commitment is true . 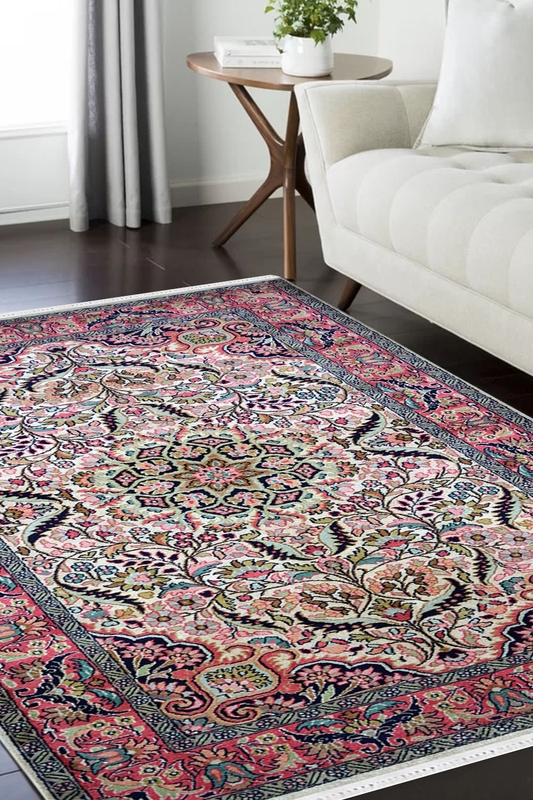 - Special styling and value at an affordable price, this hand knotted carpet showcasing layering of textures and beautiful pink color provides the very look of this carpet. - This is highly durable and ideal for any setting in your house. - This is totally hand knotted carpet in pure silk. - Due to the warp and weft is in pure silk, this carpet is highly durable.